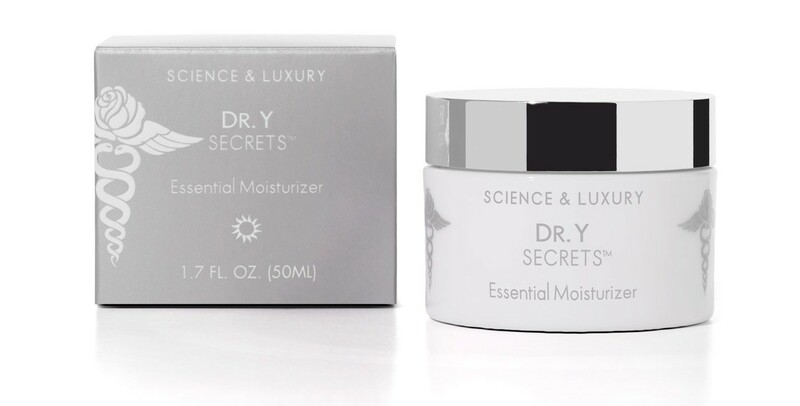 The Essential Moisturizer contains a power-packed secret formula, which treats your beautiful skin with healing hydration, soothing and skin-smoothing agents. Skin is instantly lifted, the appearance of wrinkles is visibly diminished, and makeup goes on perfectly. The result is brighter, glowing skin. Pampered perfection. Imagine yourself in an enchanting garden full of blooming roses. Light a candle. Take a deep breath before the day begins. Feel The Essential Moisturizer in your hands, dabbing the luxurious, fragrant formula in dots around your face and then blending the moisturizer in upward strokes. (Seduction by roses? We think so.) Define your desires for the day. Revel in the exquisite quality of these sensuous, skin-sustaining ingredients. This is your magical, radiant moment. Enjoy, for the love of self, life and mystery. Water, Caprylic/Capric Triglyceride, Glycerin, Tribehenin PEG-20 Esters, Acetyl Glucosamine, Butyrospermum Parkii (Shea Butter), Butylene Glycol, Dimethicone, Isosorbide Dicaprylate, Glyceryl Stearate, PEG-100 Stearate, Algae Extract, Polyacrylamide, C13-14 Isoparaffin, Laureth-7, Saccharomyces Lysate Extract, Phenoxyethanol, Ethylhexylglycerin, Caprylyl Methicone, Cetyl Alcohol, Tetrahexyldecyl Ascorbate, Ectoin, Fragrance, Acrylates/C10-30 Alkyl Acrylate Crosspolymer, Tocopheryl Acetate, Stearyl Glycyrrhetinate, Triethanolamine, Xanthan Gum, Bisabolol, Disodium EDTA, Prunus Cerasus (Bitter Cherry) Juice, Rosa Damascena Flower Water, Red 40.